A Whiter Shade of Pale, one of the all time great song titles, and in effect a one line poem. The Procol Harum song, came into my mind as I arranged this picture on the basalt rocks in the gorge near the ruins of the Etruscan city of Vulci on the Tuscan-Latium border. Pale beyond pale, and by modern standards unfashionable, with very long legs, she reminded me of a figure on Attic pottery a lot of which has been unearthed in Vulci. 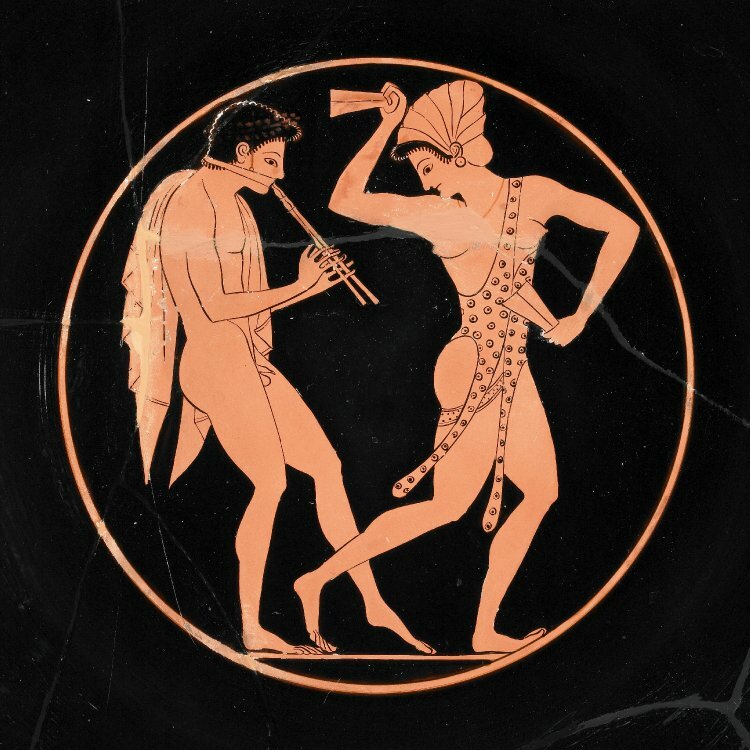 The Etruscans imported Attic wear in huge quantities – Etruscan taste running especially to the racier sort that was produced by the Greeks exclusively for the Etruscan market. 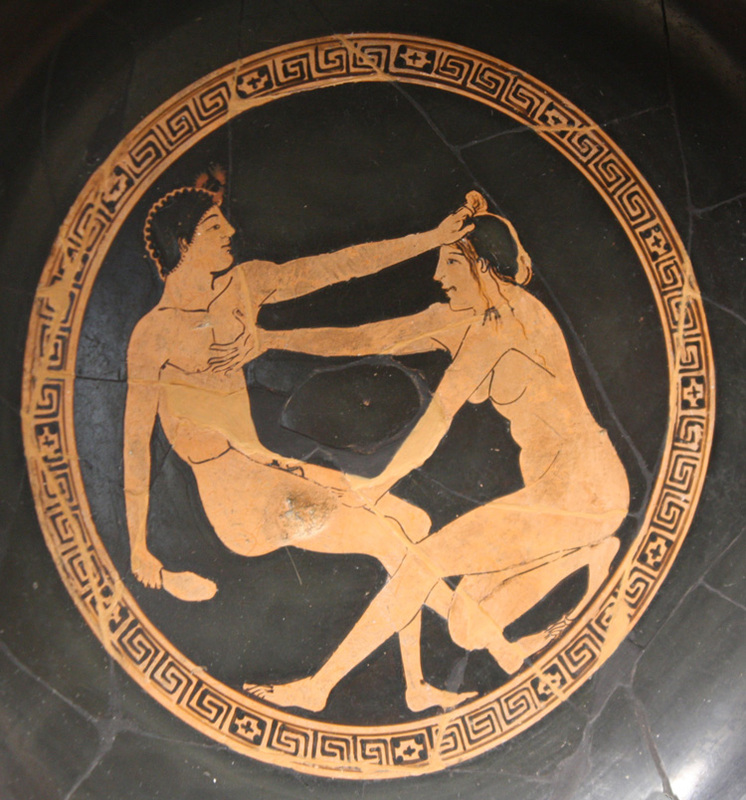 In ancient Etruria semi-naked women (they nearly always kept their shoes on) were always portrayed light skinned whereas men were red-ochre dark. Until comparatively recently women had sheltered themselves from the sun, to be pale was to be porcelain perfect. In the eighteenth and nineteenth centuries women even used leeches, or worse still poisonous lead make-up to increase their pallor. When Whistler painted his most famous portrait of the delicate Anglo-Greek beauty Christine Spartali (1863-5) her complexion mirrored the Japanese porcelain that was all the rage at the time. 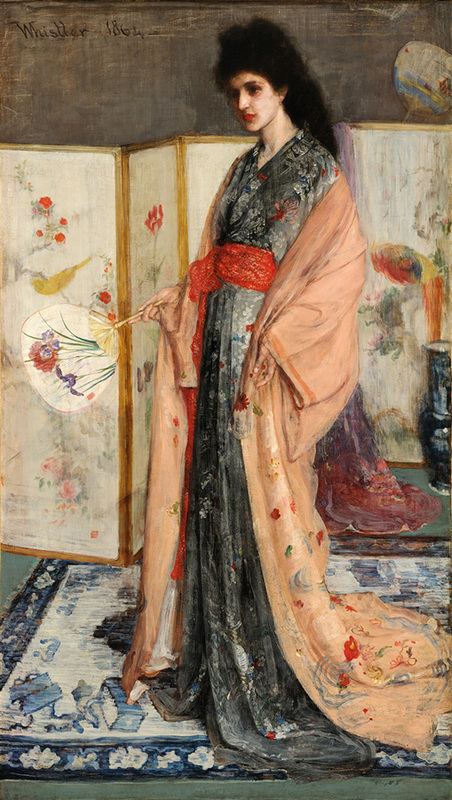 The painting is known as The Princess from the Land of Porcelain and hangs in Whistler’s celebrated Peacock Room in The Freer Gallery, Washington. Christine later married Italo-Belgian Count Edouard Cahen and came to live in out of the way Orvieto whilst her husband renovated the nearby castle of Alfina. The porcelain princess pined for the glittering world of Pre-Raphaelites in London and Impressionists in Paris and took to taking chloral, the marriage foundered and she died of an overdose aged only 38. Pallor seems to have become associated with female delicacy and weakness in the 20th century. Coco Chanel promoted a sun-tanned look in the 1920s and paleness has long since gone the way of all flesh.